The Sitesmaker Editor was developed with user experience at the forefront of its priorities. 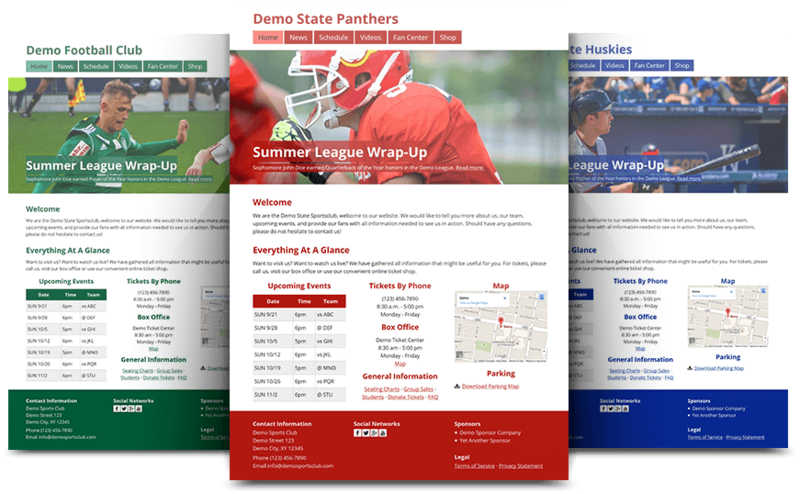 Websites are built with a live, frontend preview. Each page is composed of visual building blocks, allowing anyone to understand and edit the content of their page without any technical knowledge. The editor offers limitless design and layout possibilities, each and every element can be customized the way you like it. 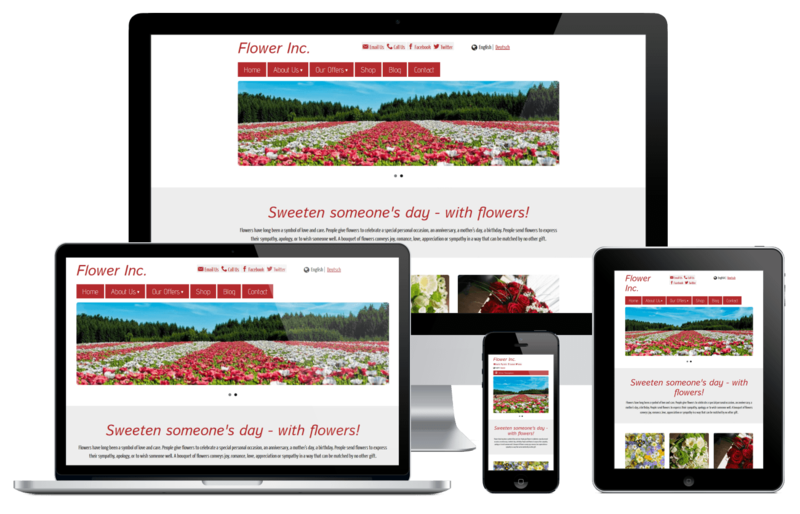 Imagine your website is composed of individual elements: a text element, an image element, and so on. You can easily add, edit, move, and remove elements. Elements that belong together are grouped in sections and rows. This screenshot shows how you are working on your website’s content. 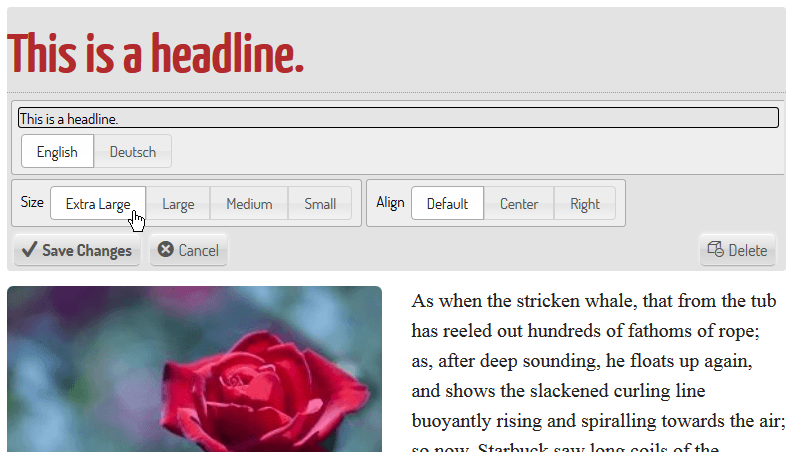 A heading element is currently being edited. Each element has specific controls that give you complete control over its appearance: in heading elements, for example, you can set the level (e.g. for subheadings). Sitesmaker offers a large variety of elements. Everything is included: common elements like text or images as well as elements like the navigation that is often only used once per website. Elements can be combined and arranged to create any website that you desire. Few settings have such a huge impact on the look of your website as its colors. That is why Sitesmaker lets you set up your colors with just a few clicks. You can focus on one main color, or mix multiple colors. Integrating custom fonts on a website can be a technial challenge. Not with Sitesmaker! We offer an easy-to-use menu where you can select from hundreds of different font families, from basic to extravagant. All our plans include your own domain name. Having your own domain name is the foundation for a successful and professional online presence. We take care of the registration of your new domain or transfer of your existing one. We offer all popular domain endings like .com, .net, .us and many more. Every domain you order with us comes with reliable, business-class email. 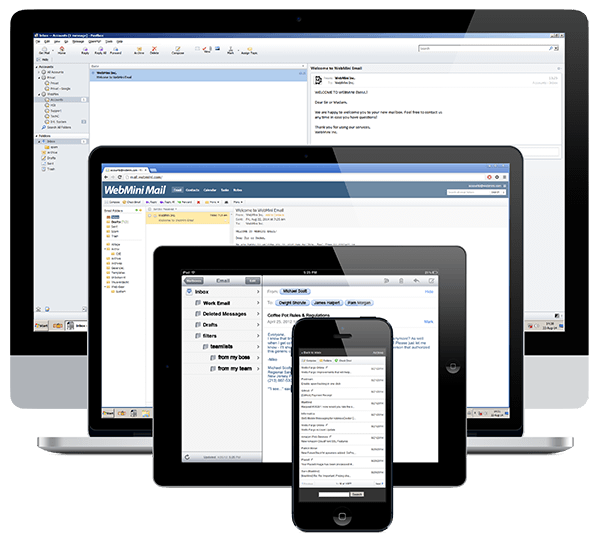 This includes premium anti-spam and anti-virus protection and our powerful webmail interface where you can view, write, and manage your emails. We also offer fully managed Microsoft® Exchange®. Please contact us for details. Open your own online shop fast and easily with Sitesmaker. Add products, select payment methods (e.g. Paypal), and start earning money online. Cross-Device E-CommerceYour shop can be accessed on any device from desktop to cellphone. No ProvisionMany shops charge you a percentage of your sales, which quickly can become a huge cost factor. Sitesmaker has no hidden or sales-based fees. BeautifulVisually attractive online shops sell more. Create perfect product pages with our editor. CustomizableAll text and images can be changed to your liking, from product pages to order confirmation emails. Easy Customer CheckoutOur shop solution features an optimized and fast checkout that makes it easy for your customers to order your products. Flexible Shipping CostsMany shop solutions limit you regarding what shipping costs you can set up. Sitesmaker gives you all freedom you need: flat fees, per-item costs, weight-based, etc. Easy Tax SettingCalculating the correct tax on goods ordered can be a huge burden, which is why Sitesmaker takes care of it completely. 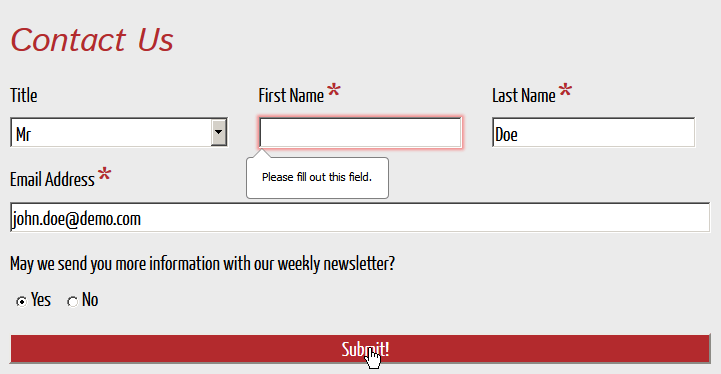 Website forms are an integral part of a good website. However, each website has different needs regarding what information a website visitor should enter. Sitesmaker lets you create forms with ease. You can add as many input fields as you like and decide which information has to be entered. Input field being edited in the Sitesmaker Editor. Website visitor being notified about missing input. 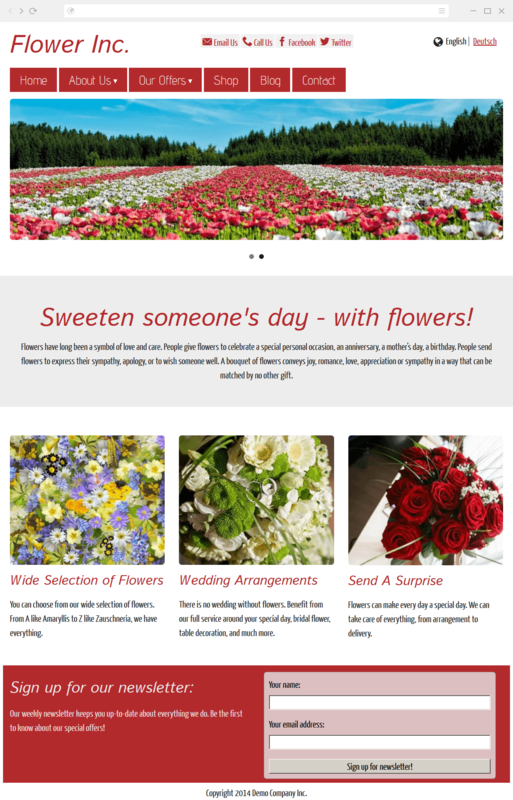 Website forms created with the Sitesmaker editor provide highest usability for the visitor of your website, while at the same time ensuring that you get all the information that you need. 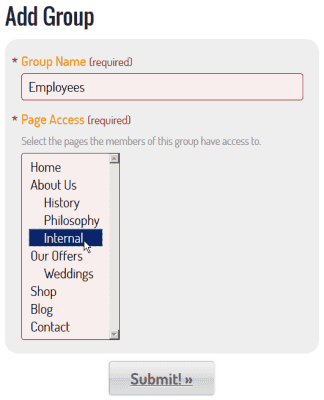 Form input fields can be marked as "required" or "optional", and whenever a visitor submits the form his input is automatically validated. Contact FormExample: website visitors enter their name, email, and a message/request. Order FormExample: visitors order your services online. Sign Up FormExample: visitors become members of your organization. Booking FormExample: restaurant offering online-booking of tables. Reservation FormExample: you own a vacation home and let visitors inquire whether the given week is available. Registration FormExample: you organize an event and visitors can register for it. In many cases, a website has multiple subpages that different people are responsible for. This scenario can quickly become a nightmare when everybody starts editing all content. This is why Sitesmaker supports complete collaborative website editing while at the same time offering the possibilty to limit the access rights of each person. John can edit everything, Melinda can only edit page "Home" and "News"
Setting up password protection for page "Internal". Besides presenting yourself and your company or organization you might also want to use your website to organize some information not for the public. 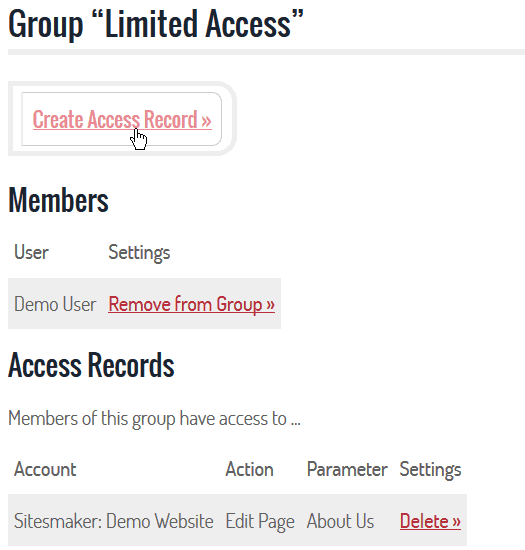 Sitesmaker allows you to easily set up password-protected pages and strictly determine who has access. Perfect for internal data, or for providing certain content e.g. only to paying customers. Nowadays, many businesses and organizations have customers from all over the world. However, setting up a multi-language website can easily become a challenge without the right toolset. 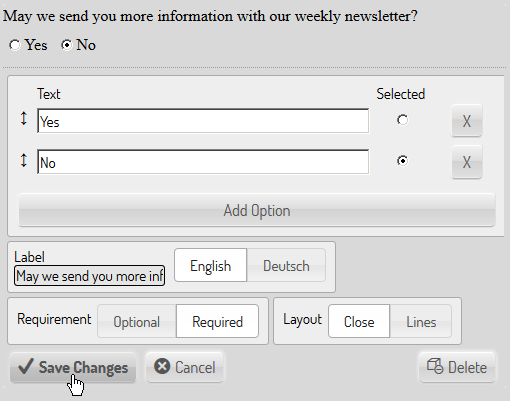 Sitesmaker makes it easy for you to create your website in multiple languages. You can use as many languages as you want right from the start, or begin with only one language and add more later. Each and every text part of your website can be offered in multiple languages, from page titles, to headings, to text blocks. The Sitesmaker Shop is fully supported as well, so you can start selling your products online in all languages that you want. 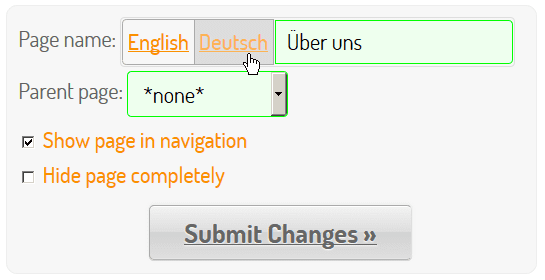 Website visitors changing the display language.